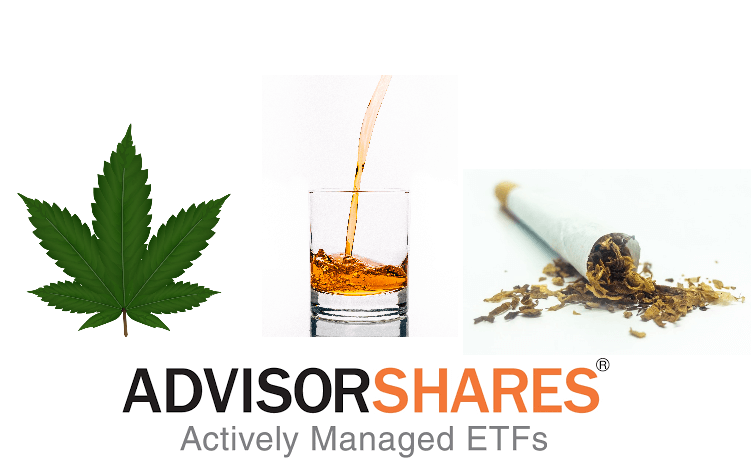 AdvisorShares, an ETF provider based in Bethesda, MD has officially launched their Vice ETF (ticker:ACT) that, in addition to tobacco and alcohol, will hold significant cannabis stocks. The fund will be led by Dan Ahrens, Managing Director and COO of AdvisorShares and by Director of Capital Markets, Robert Parker. The Vice ETF is expected to have 20% of its assets in cannabis stocks. 32% will be tobacco stocks and 49% alcohol. However, it should be noted that with the Constellation Brands purchase of a large stake in cannabis firm Canopy Growth, their may be some overlap between cannabis and alcohol stocks (and eventually tobacco stocks as well). Managing Director Dan Ahrens expects the fund to add it to its cannabis holdings as time goes on. The fund currently has 27 holdings and will trade on the NYSE Arca exchange and trade under the symbol ACT. Net expense ratio is not to exceed .75%. 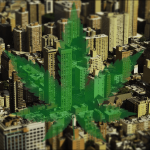 A similar fund, Horizons Marijuana Life Sciences ETF, has a similar expense ratio and approximately $280 million in assets. 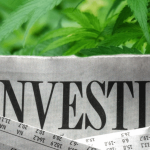 AdvisorShares believes cannabis stocks make for a good investment because like alcohol and tobacco stocks, cannabis companies can create a durable moat advantage due to operating in a heavily regulated environment. They also see cannabis as having “untapped emerging growth” potential as well as merger & acquisition potential. AdvisorShares has a number of actively managed ETFs and approximately 1.08 billion in assets under management. They launched their first ETF in 2009.